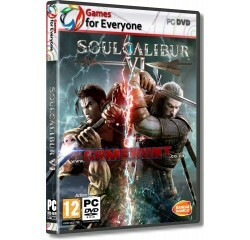 Soulcalibur VI - R160,00 : Game Hunt, Where we lead, others follow. All-New Battle Mechanics! - Reversal Edge: Block your opponent's assault and counterattack! A fusion of offense and defense. Soul Charge: Enjoy a temporary power-up to turn the tide of the battle. Unleash additional attacks in this state! Wield Lethal Hits to deal huge combo damage and take down fearsome opponents! A full assortment of single-player modes! - STORY: Taking place in the 16th century, revisit the events of the very first SOULCALIBUR in Soul Chronicle mode. A wide variety of game modes! - Clash with players around the world in Online mode! Create your own character to suit your tastes in Creation mode! Guest Character - Geralt from CD Projekt Red's Witcher series joins the fray! Processor - ntel Core i3-4160 @ 3.60GHz or equivalent® or equivalent AMD® processor.